Part 2 of the ‘Goat’ saga (and probably the last). 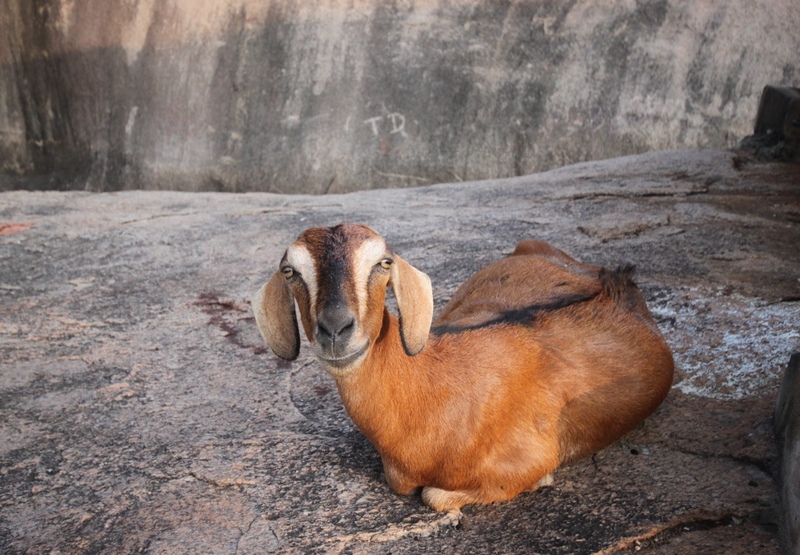 There seems to be an abundance of goats in Mamallapuram in south east India, and many don’t seem to mind a camera being shoved in their face. This guy was chilling watching all the tourists walk around near the Lighthouse area. No more Goat shots I promise! See Part 1 here!